Auburn University management professor Dave Ketchen has been named the recipient of the Southeastern Conference's 2018 Faculty Achievement Award for Auburn, announced today by the SEC. Ketchen, the Harbert Eminent Scholar in the Raymond J. Harbert College of Business, will receive a $5,000 honorarium from the SEC, and he becomes Auburn's nominee for the SEC Professor of the Year, who will be selected from 14 nominees representing SEC universities. "The award is a testament to Dr. Ketchen's nationally recognized work in strategic management and especially for his support of entrepreneurship," Auburn University President Steven Leath said. "His impactful teaching and research have contributed to the success of many Auburn graduates." The SEC Faculty Achievement Awards, created to recognize faculty accomplishments, scholarly contributions and discoveries, were established by the SEC presidents and chancellors and are administered by the SEC provosts. The awards were first presented in 2012. "Dr. Ketchen is a world-class researcher who is highly esteemed in the classroom and in the business world," said Bill Hardgrave, Auburn University provost and vice president for academic affairs and former business dean. "His guidance has helped many student entrepreneurs and business organizations become successful." Ketchen is an example of Auburn's world-renowned faculty delivering solutions to pressing regional, national and global needs. Each recipient of the SEC Faculty Achievement Award must be a full professor at an SEC university, have a performance history of extraordinary teaching and a record of scholarship that is recognized nationally or internationally. "It is humbling to be tapped for this award given the number of talented scientists and scholars at Auburn," Ketchen said. "I have been fortunate to work under stellar leadership within the Harbert College of Business and alongside outstanding colleagues who inspire me every day." Ketchen's research interests include entrepreneurship and franchising, strategic supply chain management and the determinants of superior organizational performance. In addition to teaching undergraduate and graduate students at Auburn, his textbook, "Mastering Strategic Management," is used at dozens of universities and colleges and his four graphic novel textbooks have been covered in The Wall Street Journal and USA Today. He has published more than 160 articles in scholarly journals and made more than 60 presentations to academic and managerial audiences. He is the former chair of the board of directors for the Alabama Launchpad, a statewide business plan competition, and he served on the steering committee for Michelin Development‐East Alabama, an entity that provided low interest loans to fuel job creation. Ketchen received his doctorate in business administration from Pennsylvania State University, where in 2012 he was awarded the Smeal Graduate Distinguished Achievement Award, making him the first academician to receive the honor. 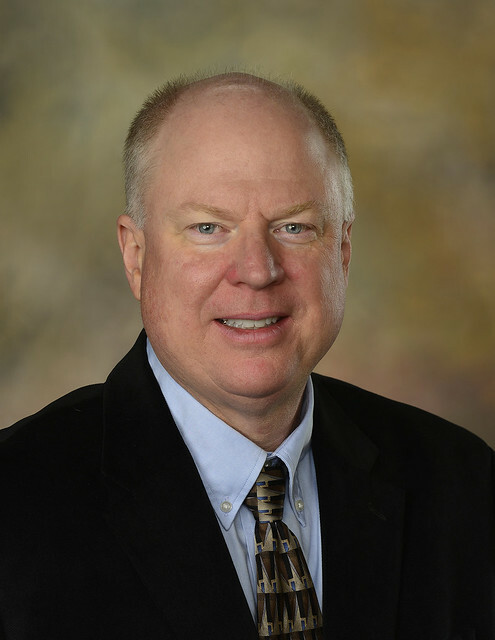 Auburn University management professor Dave Ketchen has been named recipient of the Southeastern Conference’s 2018 Faculty Achievement Award for Auburn.